Greetings to all my fellow IHS members! First of all a big thank you for your trust and support in electing me once again to the IHS Advisory Council. I will give my best to make the IHS more exciting and informative for all hornists everywhere! The theme of this month's Newsletter is "Viva l’Opera!” celebrating the tradition of opera horn playing around the world. This is a subject which I feel often fails to get its justified time in the limelight. In my 30 years as a member of the American Horn Quartet, I have had the chance to travel widely and talk to horn players all over the globe. The discussion is often of soloists, chamber music and orchestral playing, but not so often of what it’s like to be in an opera orchestra and what challenges await us there. I was quite chuffed to be included here along with such hornists as Erik Ralske, Roberto Miele, François Bastian and Eiko Taba. 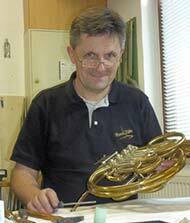 I have been playing in Germany for nearly 33 years, the last 28 as principal horn of the Beethoven Orchestra of Bonn. The demands placed on the musicians in a typical opera house such as ours can be very heavy. 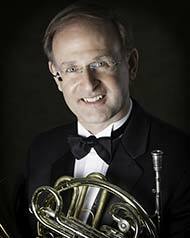 As a hornist, you can expect to prepare and perform a symphonic concert during the same week that you might have to play Rosenkavalier or The Flying Dutchman. 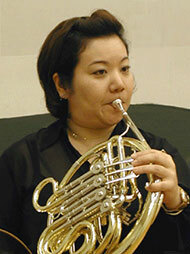 To make up for this, many orchestras here have at least 6, if not 7 or 8 horns to help carry the load. The repertoire in Bonn is typical, including the usual mix of Mozart, Verdi, Donizetti and Rossini, along with Puccini, Weber, Dvorak, Wagner and Humperdinck. Then come works that would never turn up in symphonic repertoire. That we also play some major symphonic repertoire during the season makes me feel quite lucky; I have the best of both worlds here! So dig in to the articles here, I hope you enjoy this month’s Newsletter and that you find its contents both interesting and informative. Kristina Mascher-Turner: First of all, Erik, Tell us about that famous week back in July 2010! 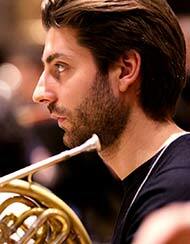 Erik Ralske: In 2010 I was lucky enough to end up in the unique position of winning two major principal horn jobs in the same week—at the Metropolitan Opera and the LA Philharmonic. The crazy part was that my story got picked up in a front-page article in the NY Times about the large number of vacancies in the NY Philharmonic at the time. I had been a member of the NY Philharmonic for 17 years--initially as third horn and later 6 years as Acting Associate Principal. 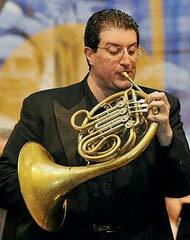 Prior to my years with the NYP, I played first horn in Houston (Associate Principal), Vancouver, Florida, and Tulsa, so playing first horn again was a return to my old life. Playing third horn in a great orchestra and brass section such as the NY Philharmonic was not only essential experience and training for the skills and endurance needed in my current job, but also an education in excellence. Choosing between 2 such different jobs in 2 very different cities wasn’t easy, but my NY roots helped tip the scales. I grew up in the suburbs of NY (Long Island), went to school at Juilliard and have always identified myself as a New Yorker. I have family here. I also felt that the opportunity to play completely different and yet major horn repertoire at the MET, would make for a very complete and varied musical life and career. To have played the Mahler Symphonies with the NY Philharmonic and the prospect of playing the Wagner operas at the MET is something that intrigued me at the time of the decision. For me it was the right choice, but I can understand others may have chosen differently. In short, I felt I had done most of the orchestral repertoire on both first and third horn and working the MET provided a chance to do something refreshingly different. on the Etna volcano in August 2016. Send it to hornandmore@hornsociety.org and let us know who, where, and when! Quando ho avuto l'invito di Kristina Mascher - Turner a poter scrivere un articolo su di me e sul corno nell'opera ne sono stato orgoglioso e onorato. Ho iniziato lo studio del Corno all'età di 7 anni nella banda del mio paese. Mi ha subito affascinato la sua forma e soprattutto il suo suono così caldo, intenso, avvolgente. 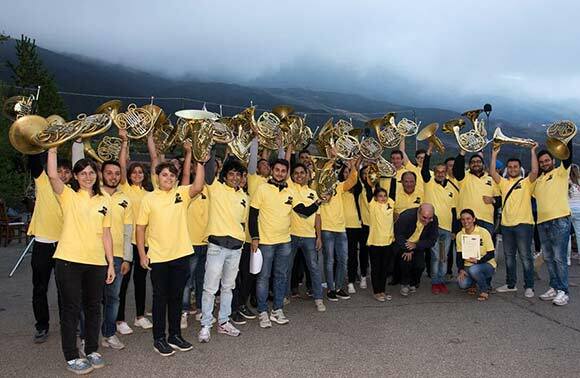 Nel corso degli anni prima di arrivare alla Scala ho avuto modo grazie ai miei insegnanti Domenico Sebastiano e Luciano Giuliani di avvicinarmi al Corno sia in orchestra, sia in formazioni da camera, sia in veste di solista. Ho lavorato per diversi anni tra l'Accademia Nazionale di Santa Cecilia Roma, il Maggio Musicale a Firenze, Teatro Lirico di Cagliari e poi nell'anno 2000 2001 ho vinto il concorso internazionale presso il Teatro alla Scala. Sono ormai 17 anni che ho l'onore e il privilegio di suonare in questo grande teatro. Avendo quest'ultimo una programmazione molto fitta si ha veramente l'opportunità di lavorare sia con i più grandi direttori ma soprattutto di poterli incontrare anche più volte nel corso della giornata. Di prassi il lavoro è strutturato come tutti i teatri fra prove e concerti e spesso si hanno prove di un titolo nella mattina o nel pomeriggio la sera spettacolo o un balletto. Jouer les opéras de Wagner au Festival de Bayreuth est une consécration pour un corniste ayant étudié en Allemagne. Dans la salle des cors du Festspielhaus est accroché un immense tableau, faisant la liste de tous les cornistes ayant joué dans l´orchestre du Festival, depuis 1876 jusqu´à cet année. Quand on se tient devant ce tableau, lire les noms de ces illustres cornistes nous fait réaliser l´honneur et la responsabilité que nous avons de pouvoir faire perdurer cette tradition musicale. Le Festival de Bayreuth dure pour nous 10 semaines, de fin juin à fin août, et il y a le plus souvent besoin de 18 cornistes par été. Sur ces 18 cornistes, 4 ne jouent exclusivement que du Tuba Wagner, c´est une particularité par rapport aux autres maisons d´opéra. Un membre du groupe est choisi pour jouer le fameux "Siegfriedsruf". Cette année, Carsten Duffin, mon collègue cor solo de l'Orchestre Symphonique de la Radio Bavaroise, a fait ses débuts dans cet exercice. À noter que le record du nombre de „Ruf“ est détenu par Gerd Seifert, avec 157 représentations. La manière de jouer dans la fosse d´orchestre à Bayreuth est assez spéciale. L´orchestre étant presque complètement recouvert, et les cors positionnés à l´arrière de la fosse, donc carrément sous la scène, il faut exagérer toutes les nuances. Si on schématise, chaque passage doit être relevé d´une nuance. Un piano equivaut au minimum à un mezzo forte, etc... Les sons bouchés et autres effets, en particulier pour les cors graves, sont joués le plus fort possible afin d'être audibles par le public. Cela me rappelle à chaque fois l'importance de la méthode qui m'a été enseignée par Marie-Luise Neunecker: 5 minutes par jour de trilles, et 5 minutes de sons bouchés dans le grave sont indispensables pour devélopper et maintenir ces compétences. 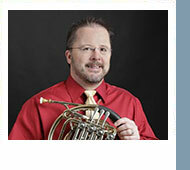 The Membership Coordinator (MC) is the primary member services position for the International Horn Society. The MC reports to the Executive Director (ED), and is responsible for maintaining member records, including database entry and database related administrative duties for the society, and making regular contact with members regarding their membership status. The MC works closely with and serves as a liaison between the ED, the Web Manager, and the membership at large. Check here for the complete job description and application form. 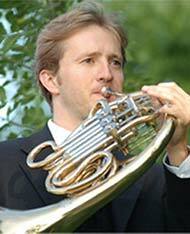 Geoffrey Winter discusses and demonstrates his approach to the Siegfried Long Call. Click image to view the video. Geof is playing a Paxman model 72 from 1978. The video was recorded using an iPad only, and edited in Windows Moviemaker. Chris Brigham helped with the recording, which took place in the Theater der Oper Bonn, Bonn, Germany. 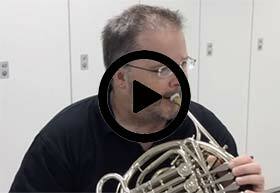 The horn part referred to in the video can be downloaded from here. Ich freue mich über diese Gelegenheit, etwas ausführlicher über mich persönlich, meine kleine Werkstatt und die Geschichte der Ricco Kühn Hörner schreiben zu dürfen. „Meet your makers“ ist eine fantastische Idee, die Personen hinter den tollen Hörnern, die man auf Shows oder Webseiten sieht, kennenzulernen. Wie jeder Kollege habe auch ich meine eigene Geschichte, wie ich zu diesem schönen Handwerk gekommen bin. Es war eine spontane Entscheidung in einer ziemlich frustrierten Lebenssituation! Nachdem ich am Ende der Schulzeit verstanden hatte, dass ich meinen ursprünglich geplanten Weg in der damaligen DDR nicht hätte gehen können, musste ich mich eben für eine Ausbildung entscheiden. Da ich einfach keine „bessere“ Idee hatte, war der Gedanke meiner Eltern, Musik und meine technischen Interessen zu verbinden gerade gut für diese Entscheidung. Dabei hatten wir in der Familie eine lange musikalische Tradition. Schon mein Urgroßvater, Großvater und Vater spielten Trompete im örtlichen Blasorchester. Mit blieb dann natürlich nichts anders übrig, als auch Trompete zu lernen. Zugegeben war ich sicherlich nicht der fleißigste Schüler. Ich hatte eigentlich immer mehr Interesse an technischen Dingen und hatte viel zu viele Ideen – und somit natürlich keine Zeit zum Üben. Mit Begeisterung verfolge ich die Newsletter der IHS und insbesondere die Gedanken über pädagogische Themen. Ich würde gerne über ein Thema sprechen, auf das mich mein Lehrer Prof. Josef Mayr, Mozarteum Salzburg, der leider vor wenigen Tagen verstorben ist, immer wieder aufmerksam machte: Das Schärfen der Wahrnehmung. Jeder hat so etwas ähnliches schon erlebt: Man übt eine Passage mit Metronom und hat an einer gewissen Stelle den Eindruck, dass das Gerät plötzlich schneller oder langsamer wird. Man nimmt den Rhythmus subjektiv anders wahr als es in der Realität der Fall ist. Ähnlich verhält es sich mit Intonation. Es ist schwierig die eigene Intonation wahrzunehmen, wenn man selbst spielt. Bei sehr vielen Studenten konnte ich beobachten, dass es durchaus ein Bewusstsein dafür gibt wie sie das eigene Spiel gestalten wollen: wie sollen Klang, Artikulation, Rhythmus, Intonation, Dynamik, Phrasierung, musikalische Linienführung usw. sein. Die Ausführung entspricht aber oft nicht der Intention des Spielers - was bei einem so schwierig zu beherrschenden Instrument wie dem Horn nicht außergewöhnlich ist. Entscheidend für den Fortschritt ist aber die objektive Wahrnehmung genau dieser Abweichungen. Dazu ein persönliches Erlebnis: In meinem ersten Jahr an der Musikhochschule spielte ich ein Stück, dass mit einem einfachen Rhythmus auf einem wiederholten h1 begann. Viertel, zwei Achtel, Viertel, zwei Achtel, Viertel, zwei Achtel,… Mein Lehrer, oben erwähnter Prof. Josef Mayr, beanstandete meinen Rhythmus immer und immer wieder. Ich war 100%ig sicher, dass ich im richtigen Rhythmus spiele aber er war anderer Ansicht. Es dauerte 15 min bis wir diese vier Takte hinter uns lassen konnten - nach diesem Unterricht ging ich nach Hause und nahm besagte Takte mit meinem Kassettenrecorder auf. Erst als ich die Aufnahme angehört hatte erkannte ich, dass mein Rhythmus nicht richtig war. Wie konnte mich meine Wahrnehmung so trügen? Heute weiß ich, dass dies eine Fähigkeit ist, die man erlernen und trainieren kann. We are looking forward to seeing you in Natal, Brazil for the 2017 International Horn Symposium, June 26-30! Bookmark the website: http://ihs2017natal.wordpress.com and return to it often as more information gets added. This is going to be an exciting and packed event. See you there!